Sorry, this product is no longer available, Please, contact us for a replacement product! Smart-1 appliances deliver Check Point's market leading security management software blades on a dedicated hardware platform specifically designed for mid-size and large enterprise security networks. Based on Check Point's software blade architecture, the Smart-1 appliances are first to deliver a unified management solution for network, IPS and endpoint security with unsurpassed extensibility. The Check Point Smart-1 150 appliance offers advanced, turnkey security management for large service providers with more than 150 gateways. It has a capacity of up to 6 TB of integrated log storage to meet the most demanding compliance requirements. Smart-1 Appliances provide central management for all Check Point products. From SmartDashboard, an administrator can define and enforce firewall, VPN, IPS, endpoint and more policies, track logs, monitor security and network activity, view reports on network and security activity trends, and centrally distribute security and software updates. Smart-1 Appliances provide up to 12 TB of built-in storage as well as high performance fibre channel connectivity to SANs for backup, disaster recovery, and compliance. Smart-1 Appliances support Lights-Out Management (Out-of-Band Management) allowing users to remotely monitor and control the appliance, including device maintenance and administration. Several add-on options are available including a Fibre Channel SAN module, redundant, hot swappable power supply and hard drives. Get more security and control by segmenting your security management into multiple virtual domains. Any size business can benefit-easily creating virtual domains based on geography, business unit or security function to strengthen security and simplify management. Dimensions (standard) 17 x 10.9 x 1.75 in. 17 x 21.7 x 1.75 in. 22.8 x 17.4 x 3.5 in. 24.9 x 17.4 x 5.2 in. Download the Check Point Smart-1 150 Datasheet (PDF). Global Policy software blade and Multi-Domain Security Management are supported only with Smart-1 50 and Smart-1 150 appliances. Additional Security Domain software blade can be added using the standard Software domain SKUs. Smart-1 50 is limited to 50 GWs (standard Security Management) or up to 50 domains (as a Multi-Domain Security Management). The Smart-1 50 (as standard Security Management) can be expanded up to 150 gateways using the CPSM-C500 container extension. Smart-1 150 is limited to 50 domains (Multi-Domain Security Management). 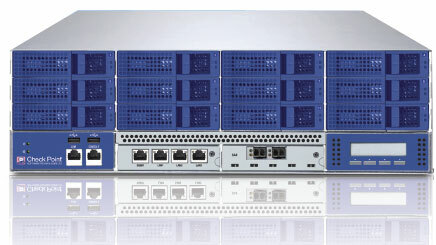 Smart-1 50/150 for Multi-Domain Security Management include the following blades: NPM, EPM, LOGS, MNTR, PVRS, MPTL, UDIR, GBLP. Smart-1 appliances include version R70, together with image management capabilities. In case NGX R65 is required; please specify accordingly in the order. 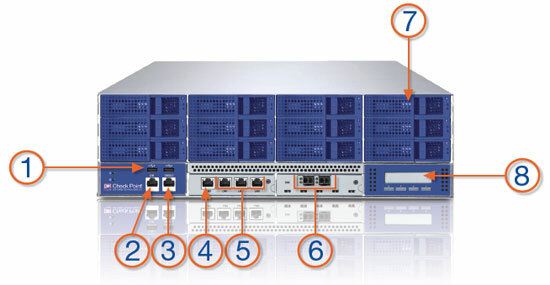 The number of managed gateways can be extended using CPSM-C500. Smart-1 25,50 and 150 appliances include Lights Out Management capabilities through dedicated LOM interface. Smart-1 license cannot be used on any other system other than the dedicated Smart-1 appliance. Hardware warranty is for 1 year.